Commercial human space flight is now a reality. Virgin Galactic’s first test passenger received her commercial astronaut wings from the US aviation regulator on Tuesday after flying on the company’s rocket plane to evaluate the customer experience in February. Virgin Galactic’s chief astronaut instructor, Beth Moses, who is a former NASA engineer, became the first woman to fly to space on a commercial vehicle when she joined pilots David Mackay and Mike Masucci on SpaceShipTwo VSS Unity. 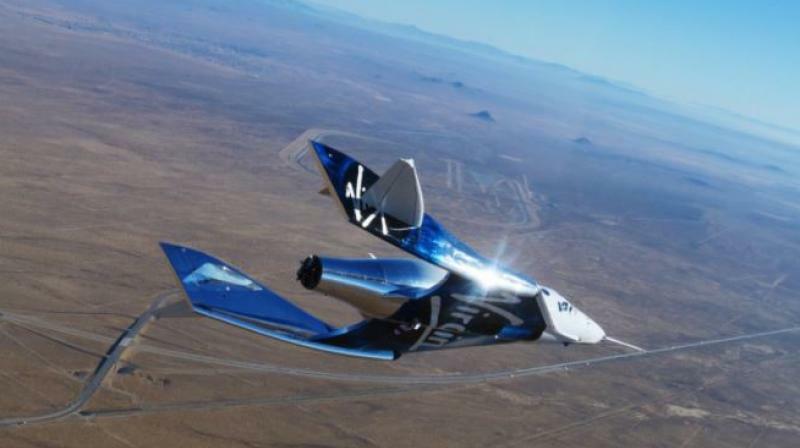 The February test flight nudged Richard Branson’s space travel company closer to delivering suborbital flights for the more than 600 people who have paid Virgin Galactic about USD 80 million in deposits. Branson has said he hopes to be the first passenger on a commercial flight in 2019. The 90-minute flight, during which passengers will be able to experience a few minutes of weightlessness and see the Earth’s curvature, costs USD 250,000 – a price that the company said will increase before it falls. Moses, who as a NASA engineer working on the assembly of the International Space Station, is designing a three-day training program for Virgin Galactic’s future space tourists. Virgin Galactic’s Branson will also receive the annual Space Achievement Award at the symposium in recognition of the company’s two crewed test flights, the first from US soil since the final Space Shuttle mission in 2011.